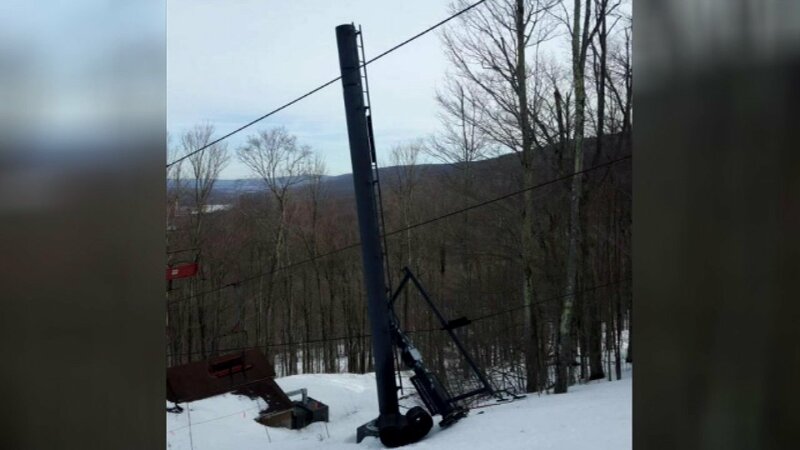 DAVIS, W.Va. -- Authorities say a ski lift malfunctioned at a resort in West Virginia, temporarily stranding about 100 skiers and injuring two of them. Sandy Green, chief of the Canaan Valley volunteer fire department, said a lift at the Timberline ski resort in Tucker County suffered a mechanical failure Saturday morning. Green says he was told 25 people had fallen off the lift and 100 people were stranded when it failed. Crews responded to the scene and found two people had suffered minor injuries. The stranded skiers were taken off the lift.